Once again I was provided with some adorable adirondack chairs to act as toppers on the cake. 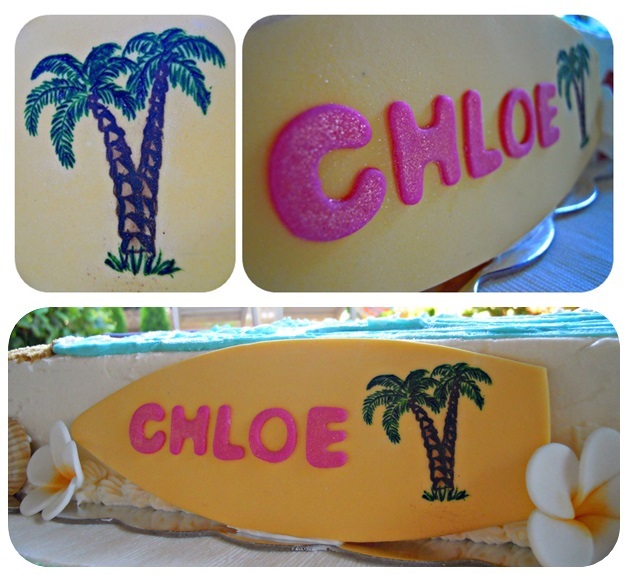 The palm trees were hand-painted onto the surfboard using gel food colouring. 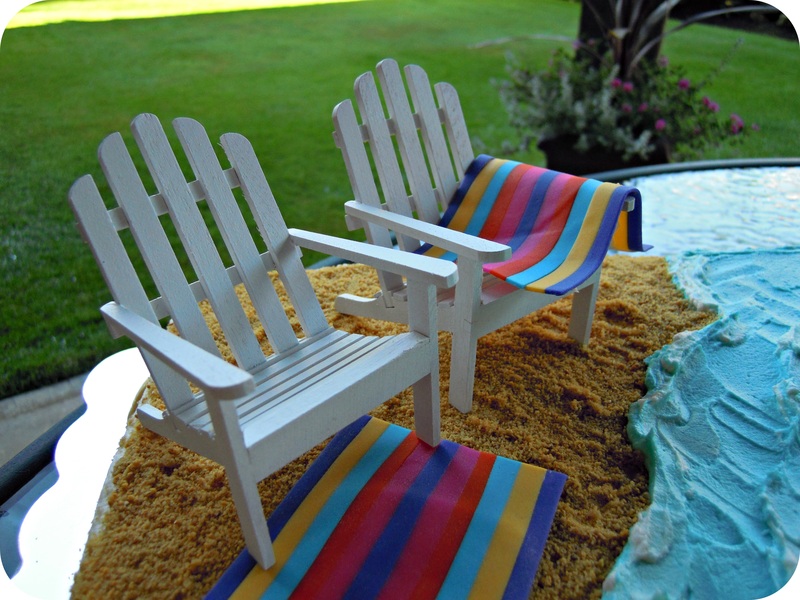 The beach towels were made out of fondant, and sat on top of the graham cracker & brown sugar sand. 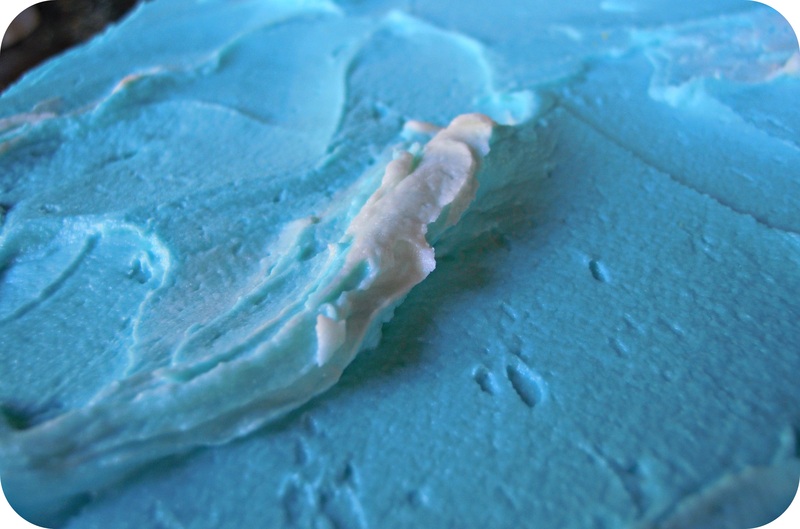 The water was blue buttercream frosting, complete with whitecaps on the waves! 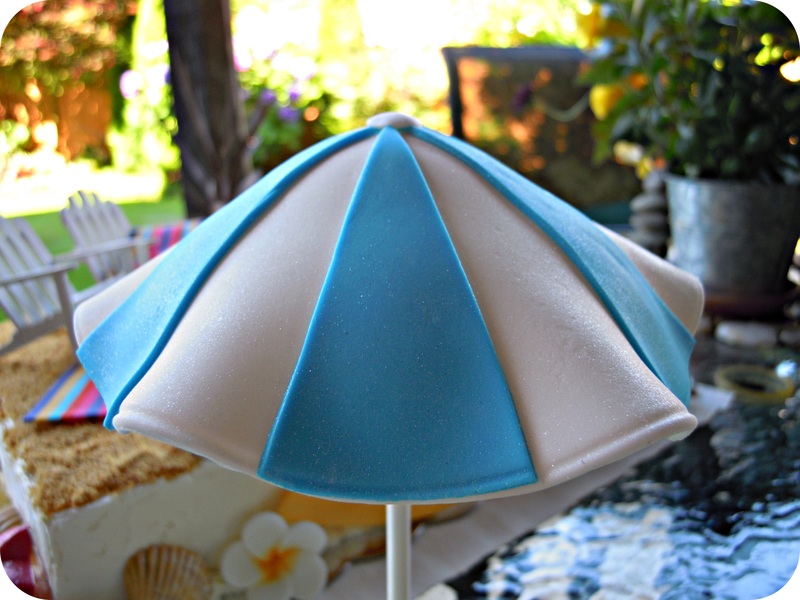 Finally, I constructed a super cool beach umbrella out of a mixture of fondant and gumpaste, but unfortunately it was too heavy for the chocolate cake and I couldn’t include it on the finished product without a colossal cake-tastrophe. 😦 If I do this again, I will make it entirely out of gumpaste and insert a hollow, plastic dowel into the cake first. Lesson Learned! 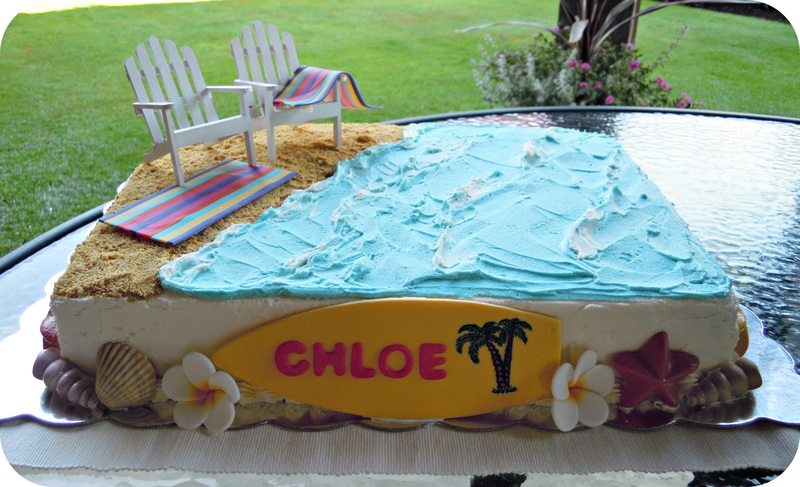 i see what you did there with ‘cake-tastrophe.’ i love the details with the waves! you shore make the best cakes! ha..ha..ha…. Wow, that’s an amazing cake! I can’t even begin to imagine all the work that went into it. It’s gorgeous and I’m sure the birthday girl went crazy for it. Thank you so much! It definitely took some time, but it was worth it in the end! !